Are you on the hunt for the perfect Portugal Football Accessories to complete your collection or match day look? Then you are in the right place, we stock a vast array of official Portugal merchandise from different seasons which offer a collection of styles. Portugal football souvenirs make an excellent gift for any hard to buy for passionate supporter and as the designs differ between seasons, they will be able to expand on their collection of goodies in no time! In recent years, with Cristiano Ronaldo in the squad, the profile and popularity of the Portuguese national football team has skyrocketed. This therefore means that the demand for high quality and official Portugal football merchandise is at an all-time high as well as the authentic replica kit. As a result of this, we must urge you to check out as soon as possible to avoid disappointment when items go out of stock. You can also join our newsletter sign up and stay in the loop of the latest launches too. Nike is the sole supplier for the Portugal national football team, and in addition to the match day sports clothing and training wear they also design and produce a selection of team accessories. We are supplied directly by Nike and you can shop for official merchandise including a gym bag, Portugal soccer ball and baseball cap. These official Nike accessories are designed to coordinate with the current home and away kits, and feature the iconic red Portugal colour, with hints of green and yellow. 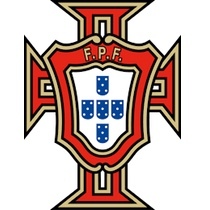 The infamous Portugal crest also features on the majority of Portugal souvenirs, and the Nike merchandise features the company’s Swoosh logo. Nike refreshes the collection with each new clothing launch to include up-to-date design features. We also stock non-Nike products, this is also official team merchandise, and manufactured under license to the highest standards, and in accordance with European safety regulations. Get the ideal gifts for your loved one or you for those long hot summer days cheering on Portugal from Soccer Box today. One of these superb present ideas you can shop here is a baseball style cap adorned with the Portugal crest. These are perfect for the summer weather as they will keep your head cool and shielded from any harsh rays when outdoors. The strap at the back also means that supporters of all ages can don this hat with pride. There are certain must-have accessories for any football fan, one of those is the iconic football supporter’s scarf, and we stock the perfect Portugal scarf. A scarf is a fantastic way to show your allegiance with the Portuguese squad as it can be both worn and displayed. Enabling you to do both effortlessly, the scarf features the same design on either side and is produced using the country’s signature colour scheme and crest. And finally, the other type of versatile gear is the Portuguese flag. Produced on a 5ft x 3ft template, this item of memorabilia is fantastic for decorating your bedroom with or wrapping around your body at local soccer tournaments. You are guaranteed to stand out in the crowd when waving this football flag around at matches in support of your beloved country. A gym bag makes a perfect PE kit bag for school age children, or can be used for football or sports kit by football fans of any age. It only has one main compartment which can be easily accessed using the draw cord closure which is very convenient for supporters young and old no matter what is in the bag. Emblazoned with the FPF emblem, you or your little one can be pledging allegiance to your favourite national team in no time. Of course, a Portugal football can be used by any aspiring soccer players, so order one today and practice your skills, soon you may equal the talent of Portugal’s infamous Cristiano Ronaldo. The most common sizing for these balls is a 5 which is the specification used by professional players during matches and training sessions. All of our footballs are provided deflated but the pressures have been included on the ball itself to assist you with pumping it up before usage. If you are shopping for the ideal gift for the hard to please football fan, why not consider Portugal souvenirs? These items make an excellent stocking filler or additional present to an already purchased piece of Portugal sportswear. They are reasonably priced and we offer a great variety for you to choose from. All of these products have been sourced from official licensed manufacturers such as Nike to ensure that you are purchasing the ultimate merchandise which is of superb quality. However, if you are contemplating placing your order today, we recommend that you act fast as due to the popularity of the souvenirs they are guaranteed to sell out quick. So make sure you are happy with your cart before heading over to the checkout to finalize the payment for your new Portugal accessories. Reaching as many supporters as possible worldwide, we offer an extensive selection of delivery services which operate across the globe at speedy rates. Therefore, to ensure that you can be cheering on Portugal in style ASAP, be sure to choose our express courier options!